The farmers market that opened last fall in Manassas Park returns this Friday-- May 3. 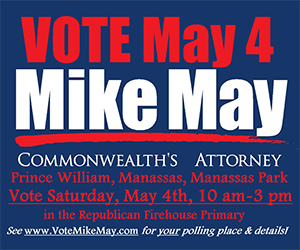 Hours are 3-7 p.m. at a new location - Manassas Park City Hall parking lot. Master gardeners are on duty twice a month 9 a.m. to 1 p.m. at the Manassas farmer's market on Saturdays and the Dale City farmer's market on Sundays. Virginia Agriculture Week March 17-23 is the perfect time to address some of the common misconceptions about agriculture, says Matthew Lohr, Virginia's Secretary of Agriculture & Consumer Services. Like David Letterman, his list goes from #10 to #1. Taste testers needed for Prince William County School Food and Nutrition Services' 23rd annual Food Show on March 7, with two sessions, 6 to 7 p.m. and 7 to 8 p.m. at Patriot High School in Nokesville.